How yoga, meditation and deep breathing can help you deal with the effects of IBS. How hypnotherapy sessions can be used to treat the symptoms of IBS by teaching you how to relax. How to find a good hypnotherapist in your area. 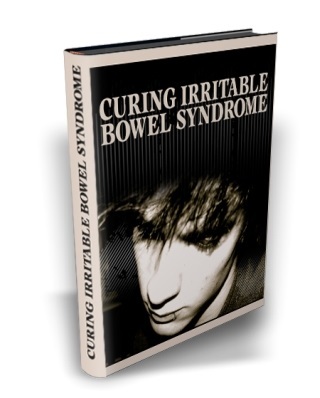 How traditional Chinese medicine can be use to isolate and treat each individual symptom of IBS separately. Where to find a practitioner of Oriental medicine in your area. What is mugwort and how can burning this herb on the tip of a needle help treat your irritable bowel symptoms? What common oil is used for treatment for IBS as it is believed to reduce the abdominal pain an bloating associated with the condition. What is an enteric coated capsule and why you should always make sure you use them when taking supplements. What common root vegetable can help calm gastrointestinal success. What acrid seed (commonly put in bread) is not only calming but can also help combat excess gas. What common weed has sedative anti-bacterial, anti-fungal, anti-inflammatory and anti-spasmodic characteristics that are great for treating the many symptoms of IBS. What volatile oil that is often used as a spice in tomato sauce will help cure stomach cramps. How you can use this licorice flavored vegetable to combat stomach cramps. Informing you of the very best brand of commercial fiber that is available to buy on the market today. How consuming probiotics can help regulate the behavior of your stomach and bowels. How consuming digestive enzymes can help you with this condition. The name of the two minerals that you absolutely must not be deficient in if you are going to cure your condition. How to avoid gaining weight when trying to manage this problem. Where to find your best sources of soluble fiber which can greatly alleviate the discomfort of elimination when you suffer form IBS.